FROM THE BEGINNING...... our goal has been to build custom residential homes in the Santa Cruz and Monterey Bay Area. We are able to accomplish this consistently by providing quality contracting service, in a professional manner at a fair price. We have the proven job site experience that translates into beautiful finished projects. Each person on our project team has been chosen for their work abilities, communication skills, and overall attitude. We are proud of the company we have built and think you will be too. Meschi Construction, Inc. is owned and operated by Josh and Zach Meschi. The Meschi brothers are fourth generation natives of Santa Cruz County. Josh served his carpentry apprenticeship in San Luis Obispo while earning his degree in Construction Management from Cal Poly. Zach also served his apprenticeship in San Luis Obispo and obtained his degree in Business from San Jose State. Since 2001, Meschi Construction, Inc. has been helping building professionals and homeowners make their projects a success. Meschi Construction Inc. is fully a fully licensed, bonded and insured general building contractor. 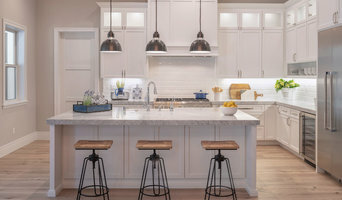 Paragon Custom Builders was established in 2018 by combining the best attributes of Jared's Custom Homes Inc. and Chetaud Pro Builders with the passion of sustaining responsive and knowledgeable general contractor services to their customers. While specializing in new high end residential construction from concept to completion, the team also produces remodels, additions, and renovations. With an acute attention to every detail, each home is meticulously built using the finest materials and quality craftsman in the area. Being onsite everyday allows them to maintain control over quality, cost and timeliness during each critical moment. Their amiable and tenacious nature allows them to bring clients, designers, engineers, project managers and subcontractors together with the common goal of producing breathtaking, cost effective projects. California Construction Bay Area Inc. was founded many years ago in the state of California under the core values of integrity, professionalism, and responsibility. We have many years of experience in the services that we offer. We service all of San Francisco Bay Area with professional and impeccable services. We will never leave a site until we are certain of your satisfaction. Our clients have been a key to our success because they always recommend us to their friends, family, and co-workers; their word of mouth has been very important to our success. Call us today for a free estimate on any of our services! For Union City residential home builders who also act as developers, the job starts well before the first nail is driven. They perform local market research to determine whether the prospective homesites make sense in the Union City, CA market, as well as survey the land on which the house will be built to make sure it is suitable for construction. Custom builders also obtain the necessary permits. 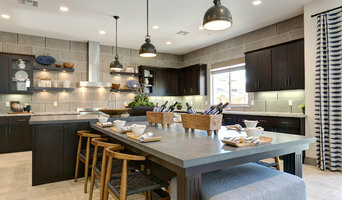 A good custom home builder in Union City, CA has skills that go far beyond construction — he or she must supervise subcontractors and artisans; keep tabs on local zoning regulations, building codes and other legalities; inspect work for problems along the way; and perform dozens of other roles that are essential in building a quality house. Here are some related professionals and vendors to complement the work of home builders: Interior Designers & Decorators, Landscape Architects & Landscape Designers, Architects & Building Designers, Kitchen & Bath Designers, Specialty Contractors. House builders are responsible for ensuring that the home-building project sticks as closely as possible to the specified timetable, particularly in the event of change orders. Custom and luxury home builders in Union City, CA also need interpersonal skills to deal with clients of all types, soothe frazzled nerves, negotiate conflicts and resolve problems. Find custom home builders in Union City, CA on Houzz. Narrow your search in the Professionals section of the website to Union City, CA home builders. You can also look through Union City, CA photos to find a house you like, then contact the builder who worked on it.